Each week we get our fruit and vegetables delivered. Sometimes we eat all the apples and sometimes they seem to accumulate in the fridge. 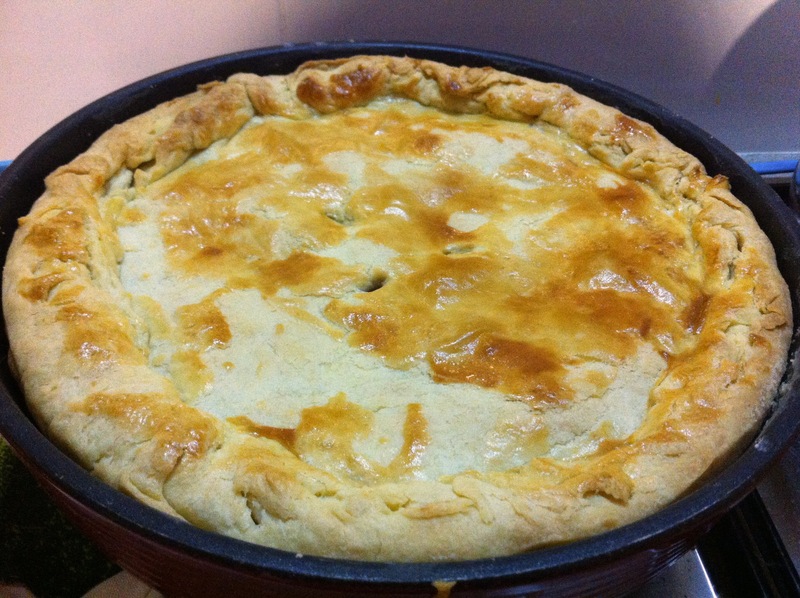 Last week I decided that I had to make something with apples in it and since I have always wanted to make my own apple pie the decision was pretty easy. I decided to use my food processor to follow Jamie Oliver’s. • Add all the apple pieces to a small pan with the sugar and ginger. 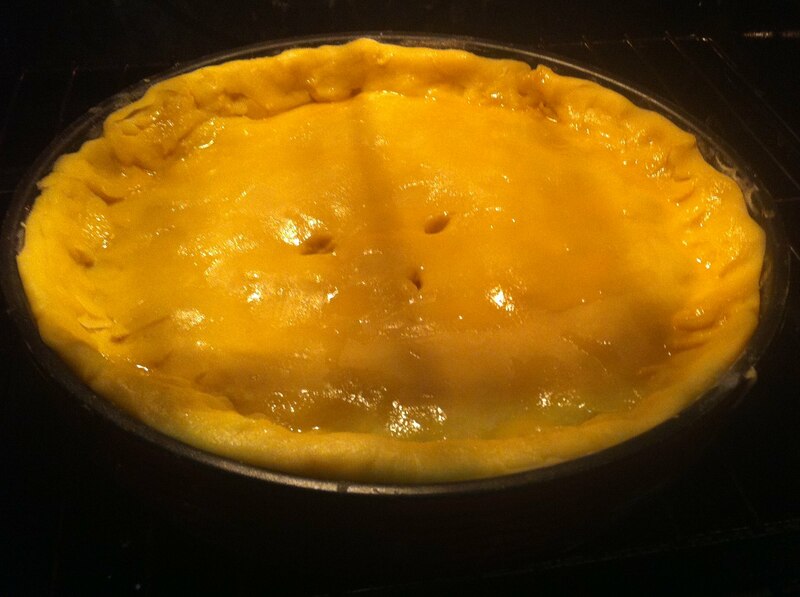 The pastry turned out amazing and I had fun rolling it out and lining the pie dish with it. 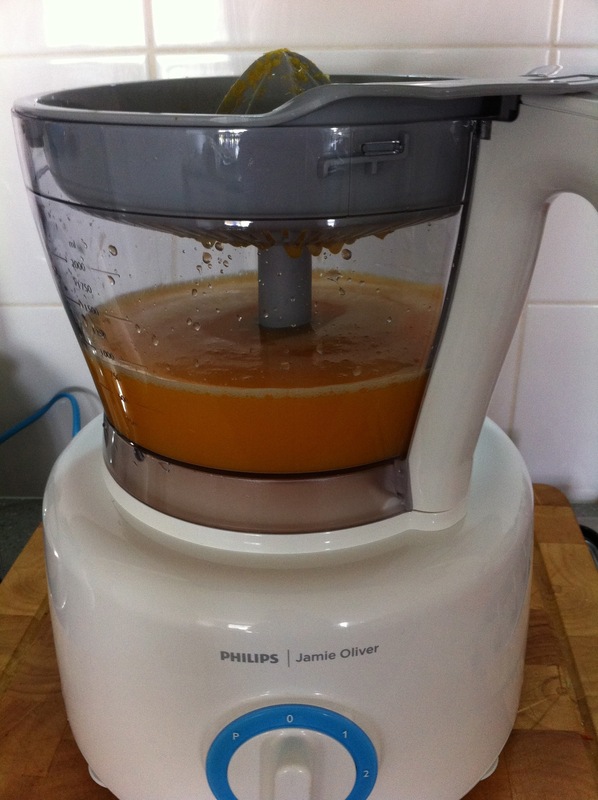 Jamie Oliver recommends quartering the apples but I used the food processor to slice them thickly. I wanted to be able to cover the entire base of the pie easily. Bake for 40 – 45mins in the hot oven. I loved watching it cook and go golden brown. 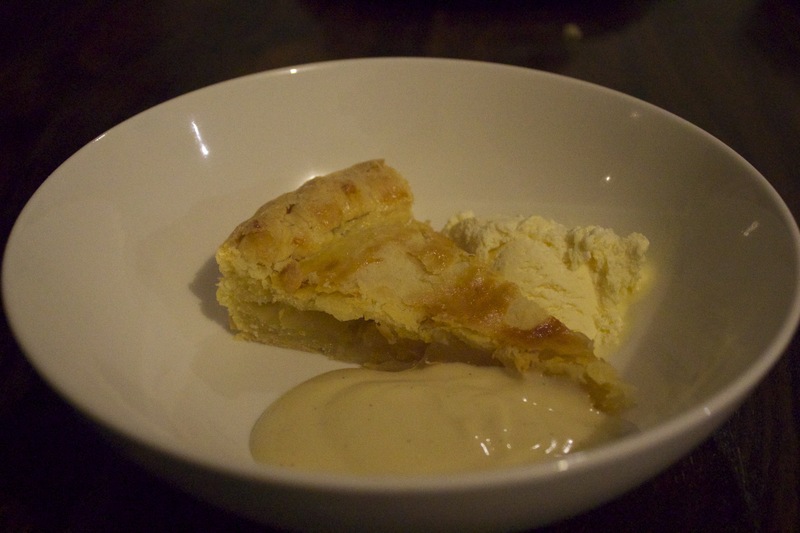 The outcome was a lovely rustic apple pie with a beautiful, slightly flakey pastry. Perfect served warm with ice-cream and vanilla bean custard. With two (often fussy) boys staples such as pasta and rice frequently find their way onto our dinner table. They are our ‘safe’ dinner foods and our boys will pretty much eat anything if is served with pasta. When I was excitedly searching the internet for meals that required a food processor I came across this blog post on creamy cauliflower sauce (the blogger, Lindsey, has also released a Creamy Cauliflower Sauce eCookbook so it must be awesome, right?). Anyway, it sounded interesting, I had cauliflower in the fridge and I will try almost anything to get my boys to eat more vegetables. 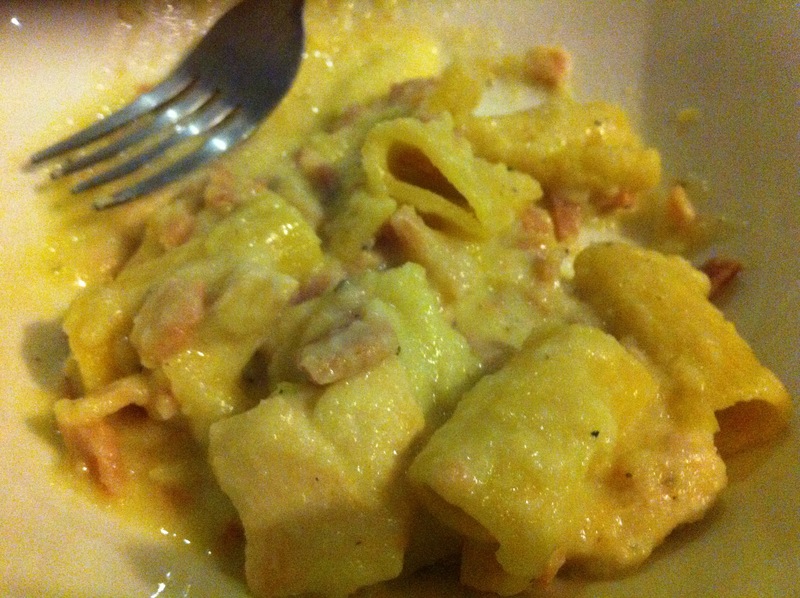 We love our creamy chicken and bacon pasta so I thought I would mix it up, ditch the cream and try the cauli sauce. It was a HIT and is much healthier than the cream based alternative. Both boys gobbled it up so very quick and even asked for more. 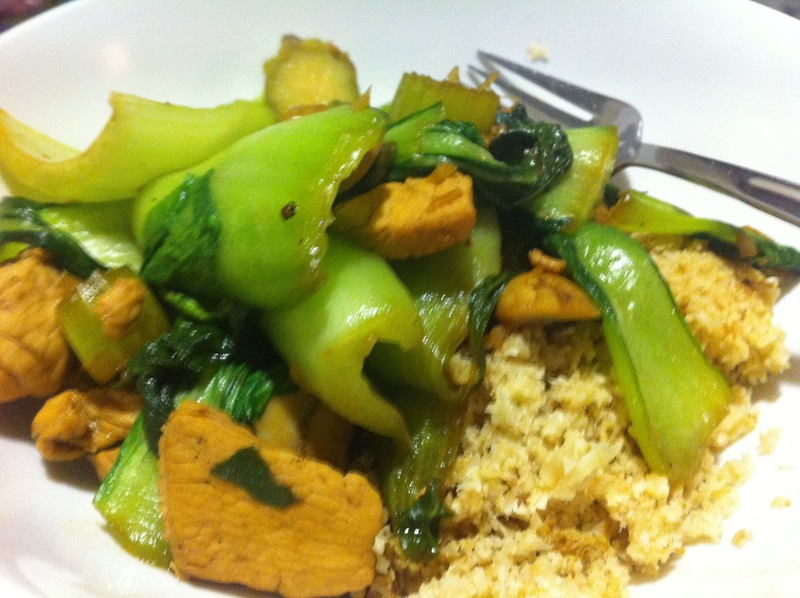 Here is our adaptation of pinch of yum’s recipe. Please check the link out. 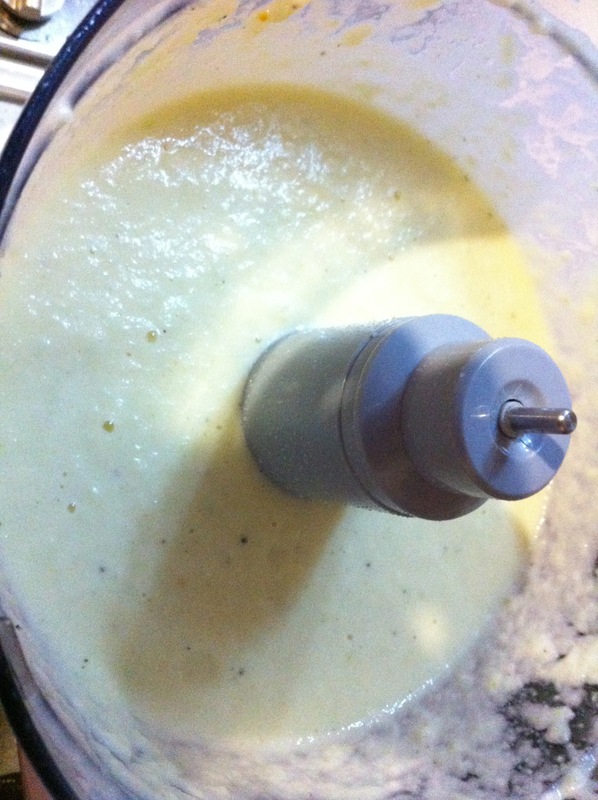 1) Whiz the garlic in a food processor. Add garlic and butter to a frying pan and saute. Make sure you don’t brown it. Place it back in the food processor. 2) Roughly chop cauliflower and add it to a pot of boiling stock. Cook covered until tender. 3) Meanwhile chop and fry the bacon and chicken. 4) Once the cauliflower is tender transfer it into the food processor with a cup of the stock along with the butter and milk. Whiz it up until it is smooth and creamy. 5) Cook the pasta in the vegetable stock pot adding extra water, as needed. 6) Once the pasta is cooked, drain and return the pasta into the pot. Add the bacon, chicken and cauliflower sauce mix. Stir together over a warm heat until the temperature is even. 7) Serve in pasta bowls and enjoy! Next time we will add some mushrooms. My gorgeous friend Kate recommended this yummy breakfast bread to me after she made it for her husband on Father’s Day. 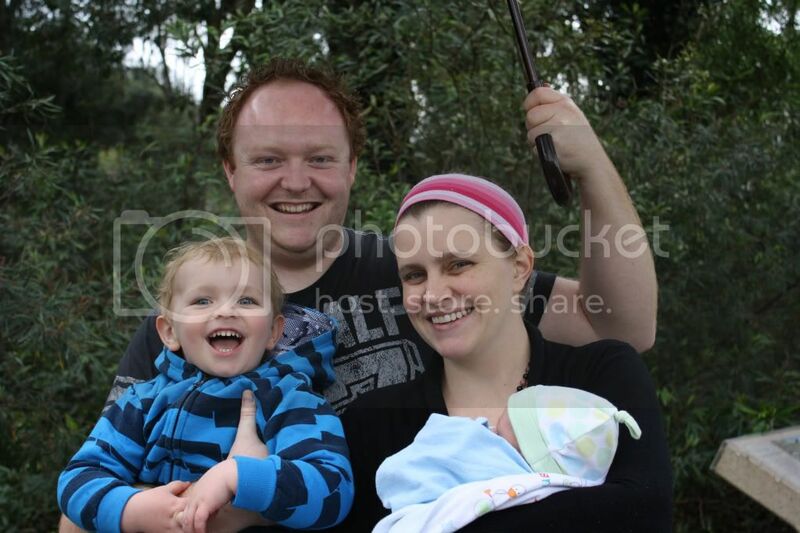 So on Sunday I decided to make it for my family. Once again I didn’t have all the ingredients the recipe called for. 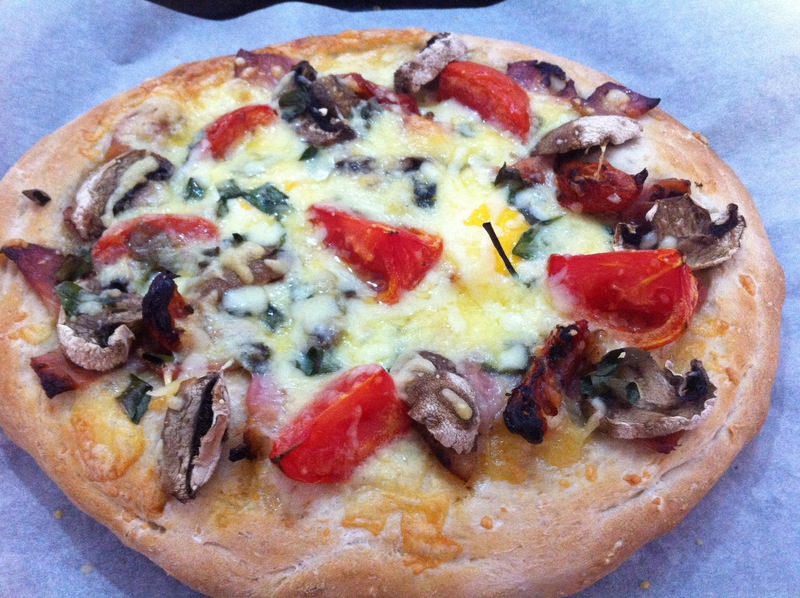 I did have the ingredients needed to make the base and some leftover bacon, tomato, fresh basil, mushrooms and cheddar cheese. I turned my oven to 220 deg C. Then following the directions I mixed the yeast, caster sugar and warm water in a bowl and placed them on our coffee machines the mug warmer for 5 mins. Using my new food processor and the dough blade I mixed the flour, salt, olive oil and yeast mix together to make the bread base. Once it was combined I turned it out onto a lightly floured chopping board and kneaded it for 5 mins until it was smooth and elastic. Put it in a glass mixing bowl, covered it with a clean tea towel and placed it on the coffee machine mug warmer (my warm place) for 20 minutes. While it was doing its thing I washed and dried the food processor bowl and lined a pizza tray with baking paper. Chopped up leftover bacon, tomato, fresh basil and mushrooms. I also used this time and my food processor to quickly shred the cheddar cheese. 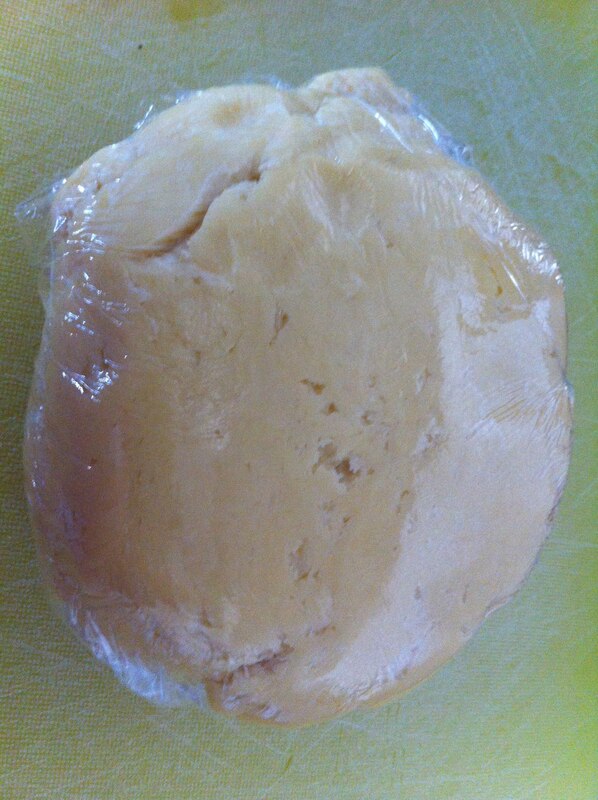 Once the dough was ready I flattened it to size and rolled up the edges. If you don’t have a baking dish like Donna Hay recommends you will have to roll the edges so the egg doesn’t spill off the bread. Then I cracked 2 eggs onto the base, carefully spread the toppings evenly over it and then placed it in the oven for 16 minutes (Donna Hay recommended 12-14 but it took 16 for ours to golden up. Please excuse the phone photos. Everyone loved this breakfast treat. Next time I think I might add some herbs to the bread base. I have a food processor! I have been dreaming of a Thermomix for years and just making do with my limited kitchen appliances in the hope of magically one day being able to afford one. Something always comes up… anyway I digress. For a very early birthday present my wonderful mother bought me a large and totally awesome food processor. It arrived on Friday and I have been dying to post about it ever since. 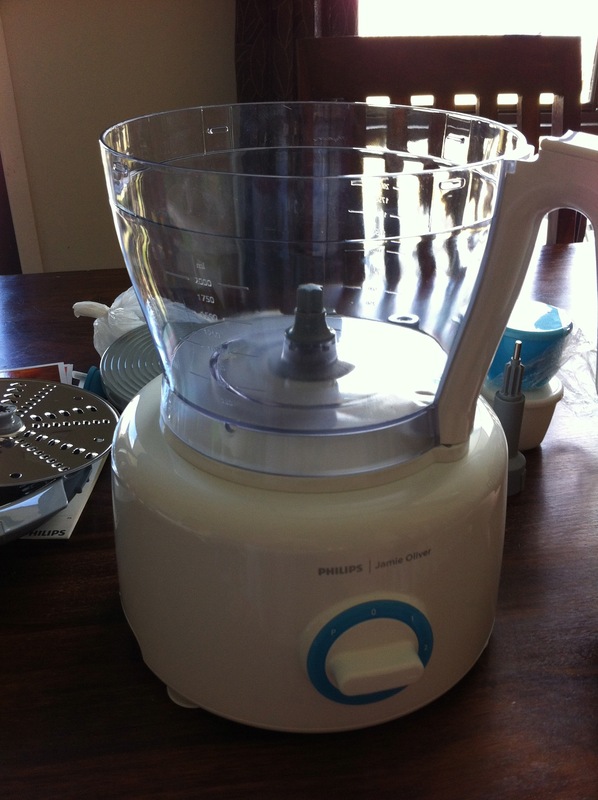 It is a Phillips Jamie Oliver 1000W. It has a 3.4 L bowl and 8 different accessories so that you can slice, beat, juice, knead, chop, cream, crumble, cut, fold, mash and mince. I am loving it. So far I have used it to make orange juice, pure banana ice-cream, CADA, breakfast bread, crispy garlic chicken strips, salad, cocktails, butter, chocolate buttermilk muffins, creamy cauliflower pasta sauce and beef burger patties. 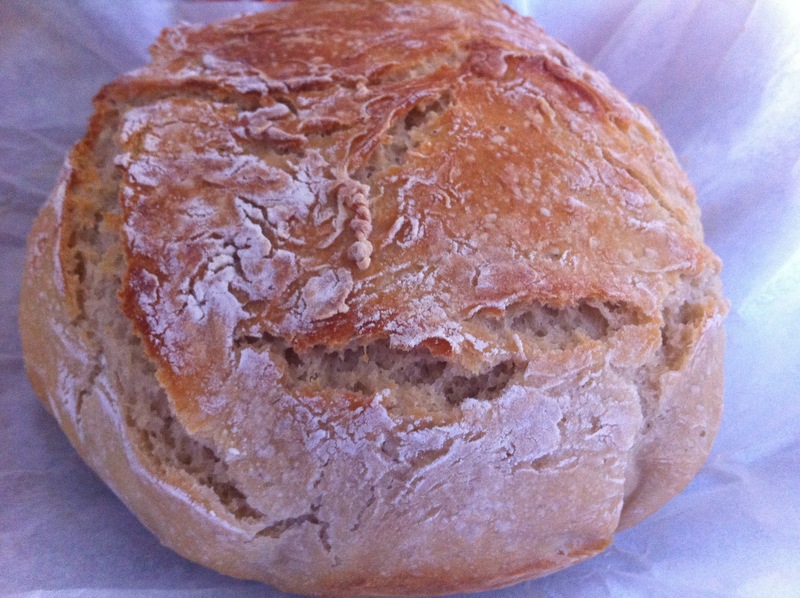 This is seriously the easiest to make and tastiest homemade bread! If you do make it or have made it before, I’d love to hear your thoughts.